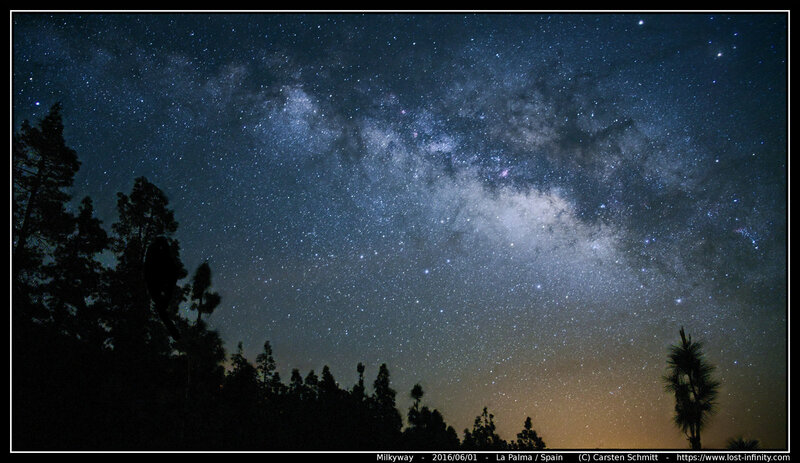 In this post I want to show a way of Milkyway image processing which does not require any commercial software product. The idea is to use rawtherapee, DeepSkyStacker and GIMP to develop, align and combine the frames to one final image. In Part 3 of my "Night sky image processing" Series I wrote about star-clustering. The result of this step was a list of stars and their pixels. The next step is to find the center of each star. In this example the algorithm is only applied for one single star which is loaded from a FITS file for the sake of simplicity. 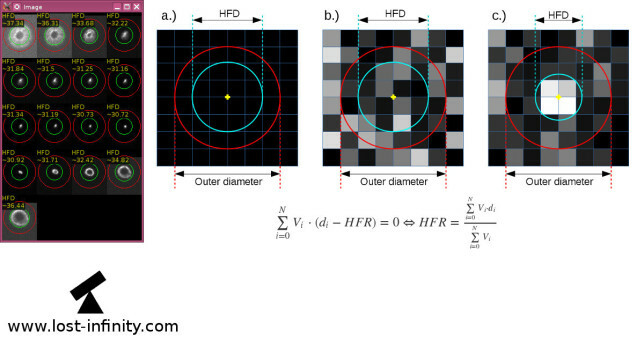 The algorithm implemented here was proposed in "Improving night sky star image processing algorithm for star sensors" from Mohammad Vali Arbabmir et. al.. 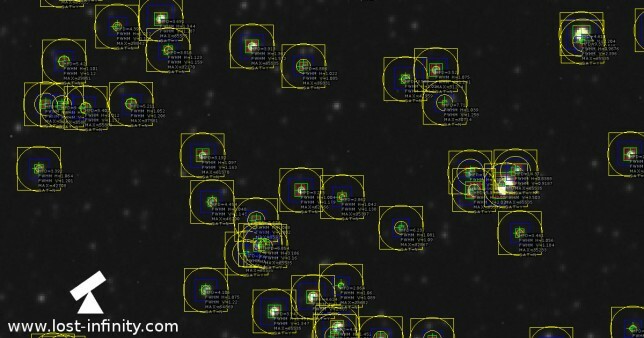 This article is about finding all the pixels which belong to a star - also known as star clustering. 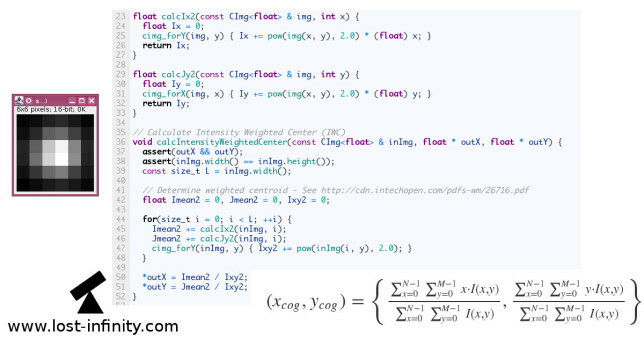 A short C++ implementation based on CImg is shown below. In Part 2 of my "Night sky image processing" Series I was writing about thresholding. The result of the thresholding is a binary image. In this context it means the "1" pixels belong to stars, the "0" pixels belong to the background. I used Otsu's method to calculate an according threshold value. The binary image is now further examined in a process called clustering. 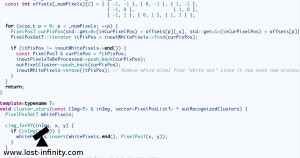 In simple words the pixels which belong together (i.e. the neighbors) are grouped together. The result of this clustering process is a list of pixel groups which belong together - i.e. a list of stars and the pixels belonging to each star. 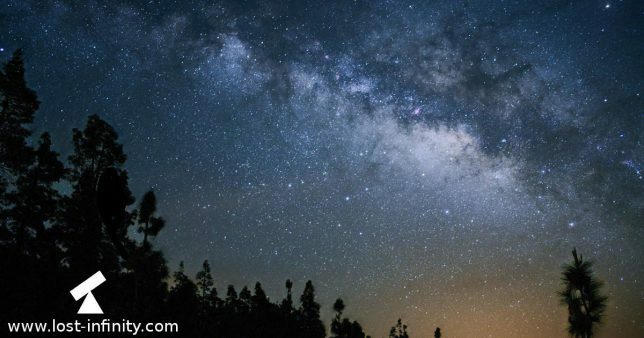 The implemented algorithm is based on the paper "Improving night sky star image processing algorithm for star sensors" from Mohammad Vali Arbabmir et. al. However, in detail it is slightly different. My implementation assumes that the supplied image cannot be modified during the process. Hence I am using a set to put all white pixels into. To me this is a good compromise between memory consumption, performance and simplicity. 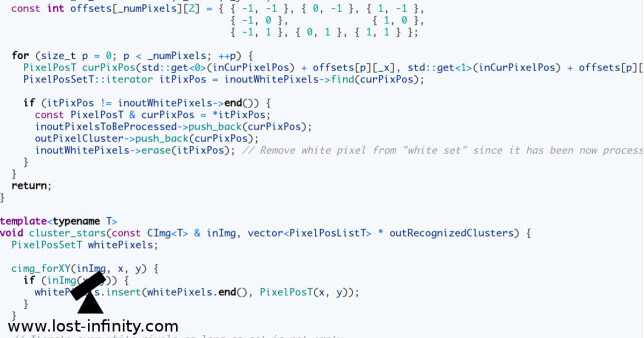 However, the implementation can be further improved with respect to runtime performance when one would used a 2D array for the white pixels instead of a set.